Having a great ear is arguably one of the most important assets a jazz musician can have. While I have no problem with jazz students buying books to read solo’s out of or learning theoretical concepts, ultimately playing jazz comes down to hearing it. 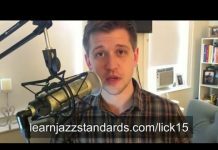 Ear training should be at the forefront of every jazz musicians personal studies. The sharper the ear, the easier it is for us to hear musical ideas and translate them to our instrument. Jazz musicians can work on their ears in some practical ways like learning solos by ear, or learning tunes by ear. 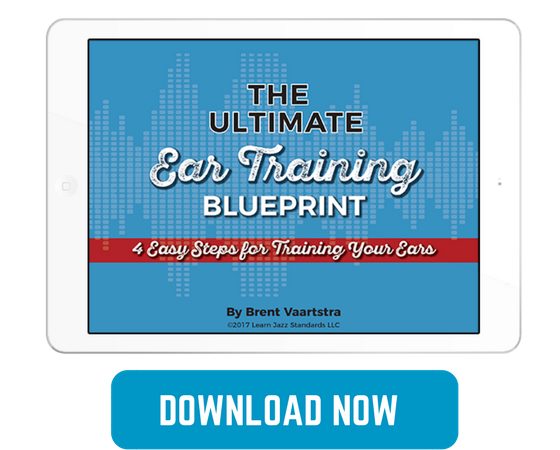 But it is also important to work on the fundamentals of ear training as well. 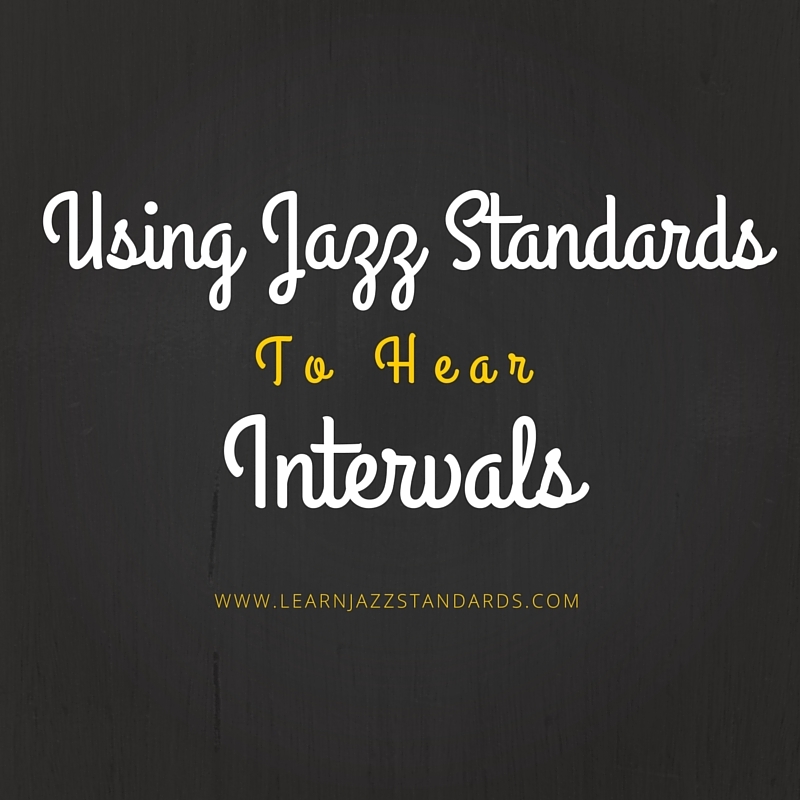 One of the fundamentals of ear training is knowing the sounds of intervals. Of course I’m talking about minor seconds and major seconds, perfect fifths, and major thirds. 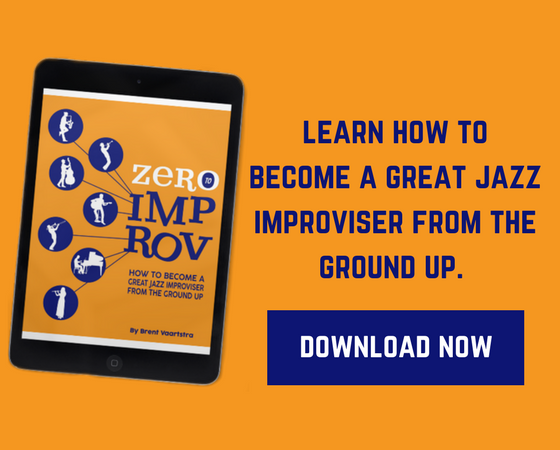 Being able to recognize all of the musical intervals will help sharpen your ear and give you some of the tools you need to learn solos and jazz standards by ear. 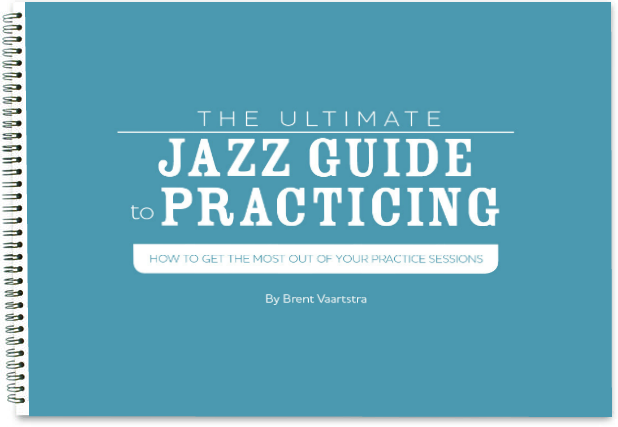 Since we are jazz musicians, a great way to learn them is to associate them with jazz standards that we know! 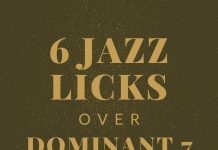 You may have learned intervals before with nursery rhymes or other pop culture songs, but these can be particularly helpful for jazz musicians. Let’s get started! How Insensitive: First two notes of the melody. I Remember You: First two notes of the melody. Stella By Starlight: First two notes of the melody. Solar: First two notes of the melody. In a Sentimental Mood: First two notes of the melody. Body and Soul: First two notes of the melody. Satin Doll: First two notes of the melody. Star Eyes: First two notes of the melody. 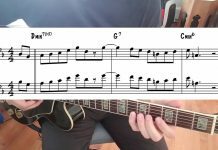 Freddie Freeloader: First two notes of the melody. Georgia On My Mind: First two notes of the melody. Cherokee: First two notes of the melody. A Love Supreme Pt. 1 Acknowledgement: First two notes of bass line. Misty: First two notes of the melody. East of the Sun (West of the Moon): First two notes of the melody. I Thought About You: First two notes of the melody. Oh When The Saints Go Marching In: First two notes of the melody. Giant Steps: First two notes of the melody. Summertime: First two notes of the melody. All The Things You Are: First two notes of the melody. Darn That Dream: First two notes of the melody. What’s New: First two notes of the melody. Softly, As In a Morning Sunrise: First two notes of the melody. Yardbird Suite: First two notes of the melody. Angel Eyes: 1st to 3rd note of the melody. Blue Seven: First two notes of the melody. Bag’s Groove: First two notes of the melody. My Favorite Things: First two notes of the melody. Have You Met Miss Jones: First two notes of the melody. The Way You Look Tonight: First two notes of the melody. Black Orpheus (A Day In the Life of a Fool): First two notes of the melody. Misty: 1st to 3rd note of the melody. The Days of Wine and Roses: First two notes of the melody. 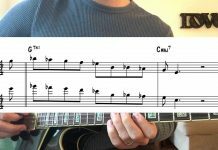 Take the A Train: First two notes of the melody. Weaver of Dreams: First two notes of the melody. Mean to Me: First two notes of the melody. When I Fall In Love: 1st to 3rd note of the melody. Watermelon Man: First two notes of the melody. Ceora: First two notes of the melody. Serenity: 2nd and 3rd notes of the melody. I Love You: First two notes of the melody. Blue Bossa: First two notes of the melody. If I Should Lose You: First two notes of the melody. Willow Weep For Me: First two notes of the melody. What jazz tunes help you hear intervals? Leave a comment below.